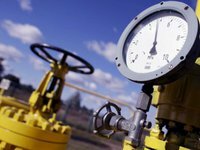 Naftogaz Ukrainy intends to buy out 4 billion cubic meters (bcm) of gas from PJSC Ukrnafta for the funds of compensation that the company must receive from the state as part of its public service obligations in the gas market (PSO). According to Naftogaz, Ukrnafta, in turn, will use the funds received exclusively to fully repay tax debts to the national budget, including penalties. Naftogaz explained that such a proposal was formed by the company in the framework of the instructions by Prime Minister of Ukraine Volodymyr Groysman to resolve the situation with the tax debt of Ukrnafta. According to the company, Ukrnafta fulfills its current tax liabilities on time, but penalties in the amount of about 30% per annum are imposed on the accumulated tax debt. This leads to a rapid increase in the total debt of the company and limits its ability to work and invest in production.